I love the infusion of the Old West into so many of the locations in and around Las Vegas when you get off The Strip. 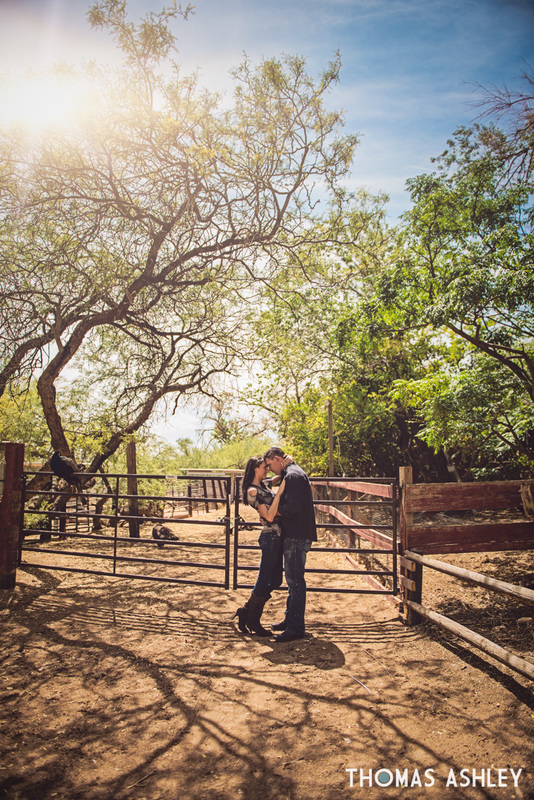 The history of the area is really brought out by locations like Eldorado Canyon and the venue of today’s featured engagement shoot: Bonnie Springs Ranch. This session featuring local couple Greg and Jessica was photographed by Thomas Ashley Photography. Bonnie Springs is a real working ranch with horses and other animals (like peacocks), plus a replica setting of an old mining town from the 1880s, so it’s a total throwback to the Wild West. The buildings, fences and colors impart that old Nevada style. 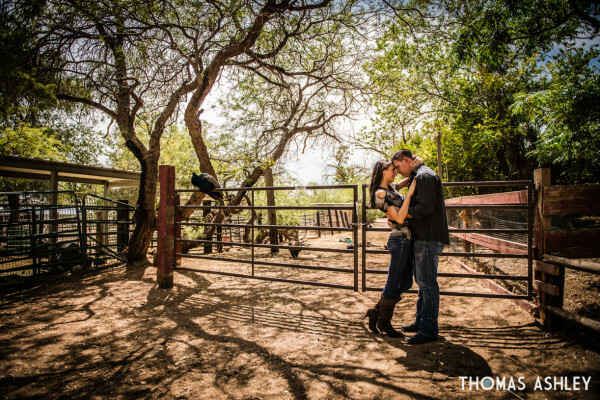 It was also the perfect location to give a sneak peek to the theme of Greg and Jessica’s upcoming wedding: they’re going for a western theme! Congratulations, you two!